At times poorly constructed concrete floors can take a beating. If you are also suffering from such a case then fret not. At Tony’s Masonry, we have a team of expert concrete floor contractors in Brooklyn area who can help give a new lease of life to your old, cracked concrete. 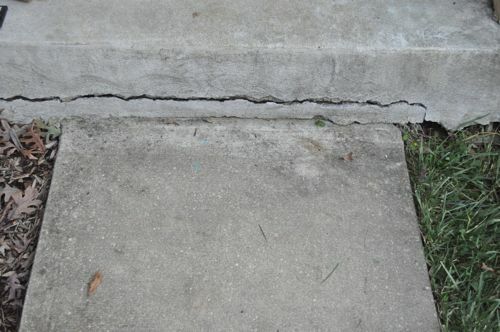 For repairing the concrete, first the old tile or concrete is removed which reveals the issues it might be suffering from and whether it needs concrete foundation repair or not. Next, the mastic and carpet glue may have to be removed. Many floors have issues due to moisture transmission via capillary or hydrostatic pressure that needs to be cured because of which floors develop cracks, spalling or other damages. Thus, the problems of every floor have a solution. Our expert cement contractors in Brooklyn know exactly how those problems are to be addressed. Many floors we encounter have epoxy delamination problems. This can be the result of many things. The floor may not have been properly prepared prior to application. Concrete needs to be shot blasted prior to application. Moisture levels need to be checked. Moisture pressure via air holes can get pushed to the surface and efflorescence along with it. This can break the bond with the surface. As a result, epoxies can chip or peel off the floor. The solution is to mechanically remove the coating and provide a new surface. That can be a polished concrete floor or new coating depending on the situation. We remove old ceramic or vinyl tile using specialized high production equipment. Then we grind the surface with coarse diamond blades to remove the mastic and glues on the surface. In some situations, we need to grind the top surface of the concrete removing the glues that may have settled into the pores of the concrete. Then we can assess the situation to determine the appropriate solution whether a polish, self-leveling application, micro topping or epoxy has to be applied. Underneath the carpet glue and tile mastic is concrete that can be restored with a long term decorative and functional solution. Removing adhesives may require grinding, shot blasting or a combination of the two. Once they are removed we provide a decorative remediation solution depending on the situation. In some cases, we can grind and polish the surface. In others, we need to apply a self-leveler, micro topping or epoxy. These are long-term, affordable solutions. 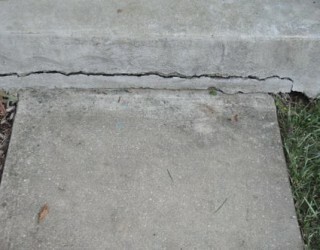 Crack repair is more than just filling what can be seen with something sticky. In some cases, cracks can be part of the actual design. In others, we need to fill the crack all the way to the bottom. Hairline cracks may be at the surface but usually go all the way through. We use specific fillers that flow to the bottom of the crack with the capability of curing below grade concrete, activated by moisture in the concrete. We provide long term solutions, not short term fixes.